ALMATY -- The Kremlin's aggressive policies towards its neighbours and the global community at large was one of the subjects at the latest International Risk Management Conference held in Almaty. For 14 years in a row, the conference has brought hundreds of economists, political scientists, underwriters and financiers to Almaty to discuss geopolitical issues that might pose risks to businesses across the world. The concerns expressed at this year's conference, held April 19-20, were made not only by Western economists and political scientists but by Russian scholars as well. Russia is lashing out in the former Soviet Union and in Syria even as domestic problems fester, Sergei Medvedev, a political scientist at the Higher School of Economics in Moscow, said at the conference. Russian institutions are collapsing while the population is suffering from poverty, he said. Conflict between Russia and the West -- particularly the United States -- has intensified sharply, said Boris Umanov, chairman of the board of the Almaty-based Eurasia Insurance Co. The Kremlin continually approaches the line in regards to confronting the United States and dances on it, he said, adding that Russia would dread and regret actually stepping over the line into real conflict. For Russia, nothing good can come out of having bad relations with the far more powerful United States, Moscow-born University of Chicago economist Konstantin Sonin said at the conference. "[The United States] is the only country in the world that can shut off international trade ... without reducing its people's standard of living," he said. "For Russia, it's very bad that it has poor relations with the United States and Europe." "The inadequacy of [Russian] political institutions is demonstrated by the war between Roskomnadzor [the Russian Federal Service for Supervision of Communications, Information Technology and Mass Media] and Pavel Durov, founder of the VK [VKontakte] social networking site and the Telegram messaging app," said Medvedev, in reference to the government's insecurities over freedom of expression. Roskomnadzor is the country's censor. A Moscow court April 16 blocked Telegram in Russia because Durov refused to give Russian intelligence the encryption keys for user correspondence. Local internet service providers followed the ruling by blocking 15.8 million Internet Protocol (IP) addresses on Amazon and Google platforms, leading to malfunctions in online banking and retail services, The Verge reported May 3. A few days ago, Russia took further steps to obstruct use of Telegram, blocking 50 internet anonymisers and Virtual Private Network (VPN) services, Meduza reported. Russian President Vladimir Putin's state-of-the-nation address to the Federal Assembly on March 1 is another example of the Kremlin's goals of encroachment and its insecurities about waning Russian geopolitical influence. "Putin's only message in the speech ... was 'I am forcing you to listen to me'," Medvedev said. 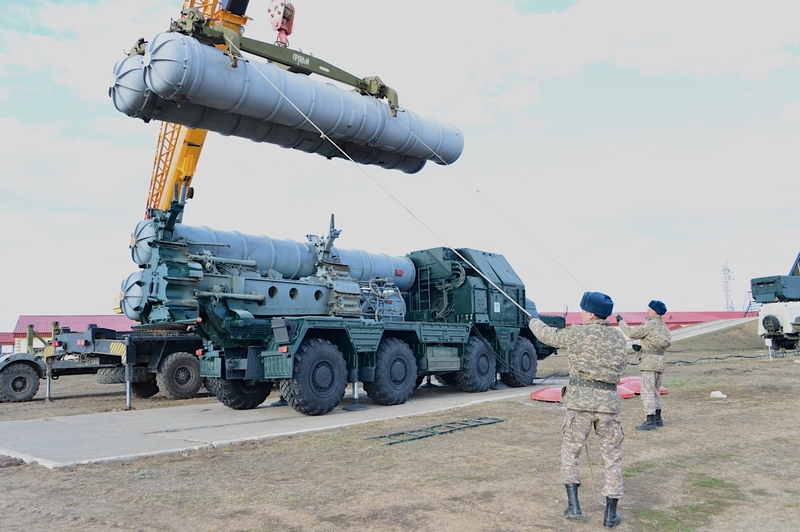 During Putin's 19 years in power, Russia has embarked on an ambitious military build-up in Central Asia and beyond, using a number of perceived slights as justifications. 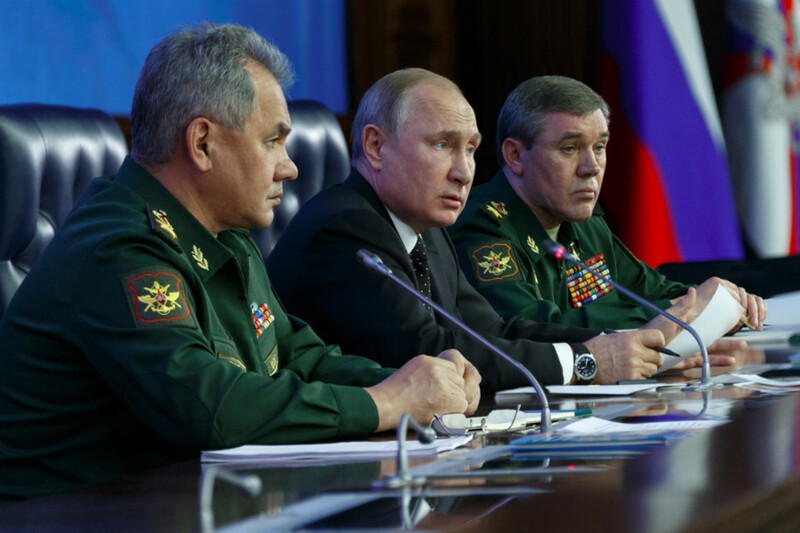 In his March 1 speech, Putin announced that Russia had developed a new generation of "invincible" weapons", a claim dismissed by defence analysts and observers as far-fetched and politically motivated. "Nobody wanted to listen to us. So listen now," he said that day, according to the Kremlin. "Why Western countries would listen to him is not clear," Medvedev said. "He behaves like an irritated man in the corner of his yard yelling, 'Listen to me; talk to me.' Explaining [such behaviour] is a job for psychiatrists." After 2014, when Russia annexed Crimea and began war in eastern Ukraine, it started to spin itself a cocoon, distancing itself from countries that had been close allies historically, particularly Belarus and Kazakhstan. 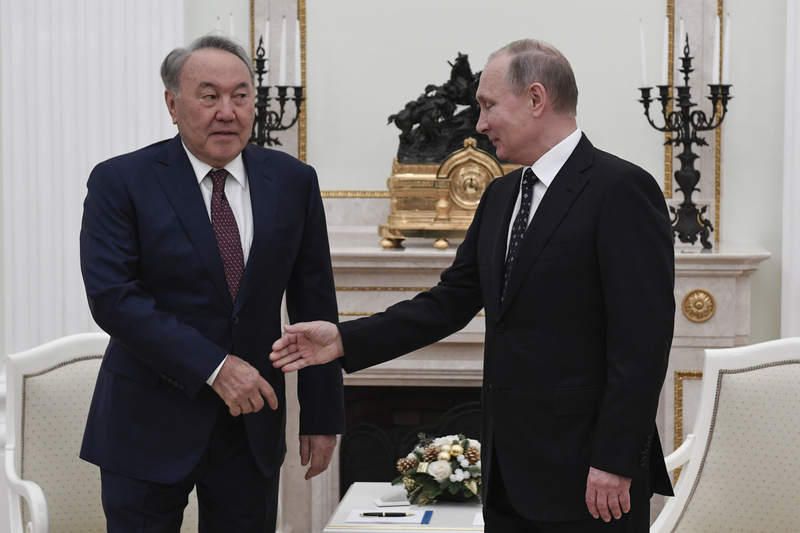 Kazakhstan, Russia's closest ally for years, is now charting its own geopolitical course, which includes closer ties with the United States, Medvedev said. Russian TV talk show host Vladimir Solovyov, who champions Putin's causes, recently mentioned on his programme that something has come between Russia and Kazakhstan, according to Zakon.kz. "Is there something we don't know about our relations with Kazakhstan? Was there suddenly a black cat running between us? Or should we expect the next Maidan [Ukrainian-style, anti-Kremlin movement] to be aimed at Kazakhstan?" Solovyov said live on Russia's Channel 1. That was his reaction to Kazakhstan's abstention on April 14 to a UN Security Council draft resolution proposed by Russia that condemned coalition air strikes in Syria. "There's not one country in the world that would love Russia for all the 'good' it has done," said Sonin, the University of Chicago economist. The best case Russia can hope for is that countries deal with it patiently, as Kazakhstan does, he said at the conference. The USA is not our enemy - we need to further distance ourselves from Russia, but there's a bigger threat, China. What do we need Chinese money for when investors in Western countries are interested in us? I think we need an American military base in Almaty Province so that the Chinese will respect us.